Rylance returns. Sir Mark, the first artistic director of Shakespeare’s Globe when it opened its doors in the mid-1990s, is treading the boards of his beloved wooden O once again, playing Iago in Claire van Kampen’s production of Othello. Rylance has won them all: Oscars, Oliviers, Tonys, BAFTAs, the lot, most memorably for his spectacular performance as Johnny Byron in Jez Butterworth’s Jerusalem. His classical roles on the South Bank – Henry V, Hamlet, Richards II and III, Olivia in an all-male Twelfth Night, Philip V of Spain in Van Kampen’s Farinelli and the King – are fondly remembered. 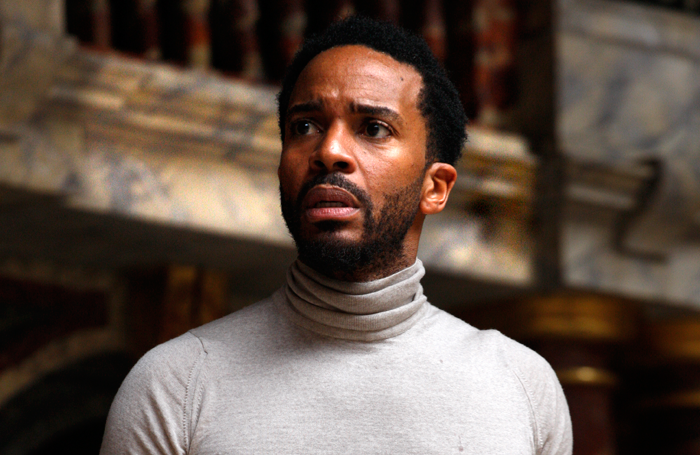 He’s joined here, somewhat unexpectedly, by American actor Andre Holland, best known in Britain for his role in the 2016 Oscar-winning Moonlight. But does Holland have the acting chops to take on Othello in Shakespeare’s own back yard? Will Van Kampen’s production provide a highlight of Michelle Terry’s post-Rice programming. Will Rylance roll back the years and reign supreme on the South Bank again? Rylance has seen his screen career blossom in recent years, with acclaimed roles in Steven Spielberg’s Bridge of Spies and Christopher Nolan’s Dunkirk alongside stage star turns in Farinelli and the King and Nice Fish. Does he still have that special spark that made his Globe performances so special, though? Most critics think he does, and most find his interpretation of Iago something of a revelation. He’s superb in a “deliberately down-at-heel performance” according to Andrzej Lukowski (Time Out, ★★★★), while for Henry Hitchings (Evening Standard, ★★★★), it’s “a larky performance but also a wily one, which invites us to notice how often Iago darkly echoes other people’s words — and at the same time highlights the audience’s complicity in his devious bigotry”. In fact, only Sarah Crompton (WhatsOnStage, ★★★), Quentin Letts (Daily Mail, ★★★), and Laura De Lisle (Arts Desk, ★★★★) think Rylance gets it wrong. 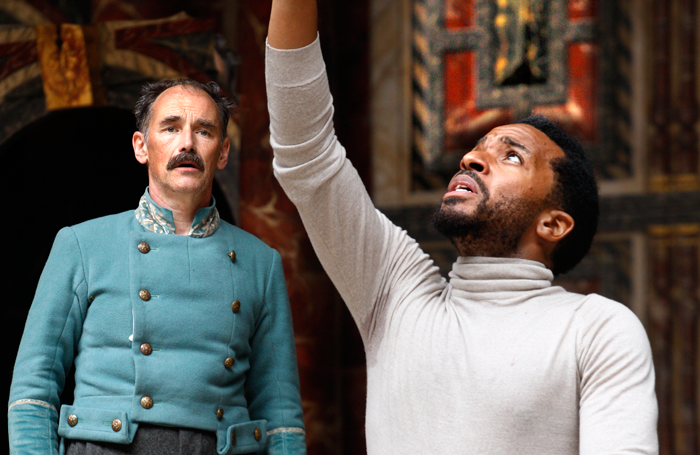 But if playing Iago at the Globe is familiar territory for Rylance, playing Othello there is decidedly not for his co-star Andre Holland. Considering the play’s use of race uncomfortable, Holland has deliberately stayed away from the role until now. Some critics don’t seem to have a problem with his performance. He’s got “charisma to spare” according to Taylor, he’s “the most eloquent and erudite character” according to Lukowski, and he “makes his presence felt through an old-world solemnity of movement, poise and gracefulness” according to Cavendish. Some critics aren’t totally convinced, however, his delivery in particular proving a sticking point. “He exudes a majestic dignity, a natural authority and an uncomplicated devotion to Desdemona: when he says he wooed her with ‘a world of sighs’, he caresses the language beautifully,” writes Michael Billington (Guardian, ★★★★). Rylance and Holland both divide critics to a degree, then, but what about Claire van Kampen’s production? Does it provide a highlight of Michelle Terry’s early tenure as artistic director? Other critics are less fond of Van Kampen’s approach, thinking it’s just a little too tame. 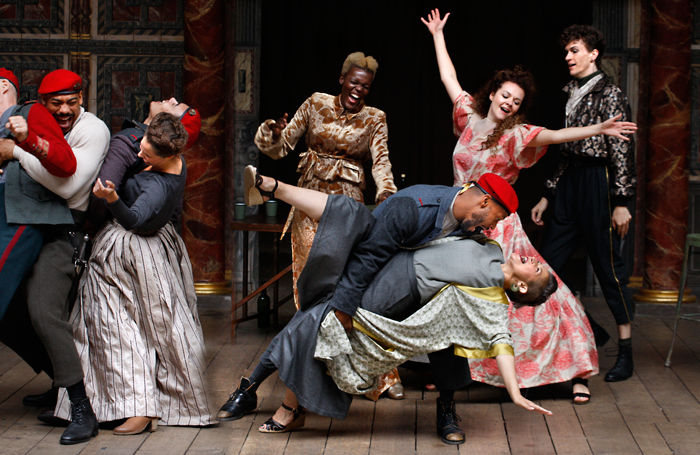 Othello – Is it any good? 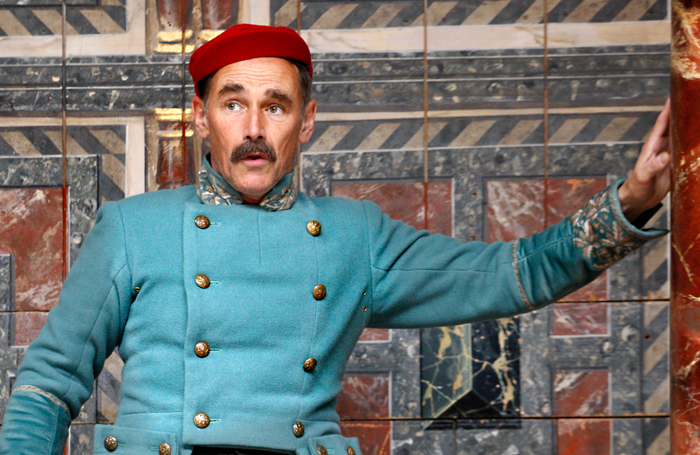 A rack of four-star reviews suggests that Rylance’s return to the Globe is a successful one. Some aren’t so sure, but most critics think his interpretation of Iago is unexpected and inspired. Classic Rylance, in other words. 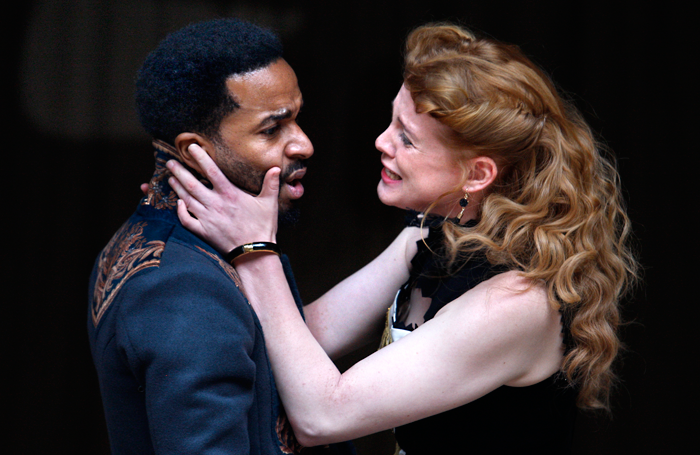 There’s less certainty about Holland’s performance as Othello – reviewers are divided over his naturalistic approach – and about Van Kampen’s production as a whole. It pleases the purists, it seems, but leaves others a little unsatisfied. What are the best shows of the Edinburgh Fringe 2018?